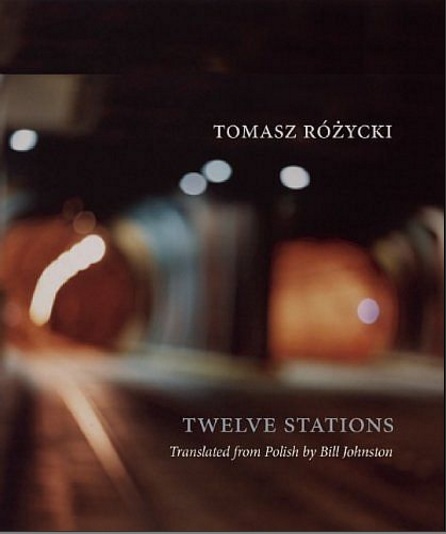 Bill Johnston has won the 2015 Found in Translation Award for his translation of Twelve Stations by Tomasz Różycki, published by Zephyr Press. Johnson is well known for translating Wiesław Myśliwski’s prose. The winner was announced by the Book Institute, the Polish Culture Institute in New York, and the Polish Institute in New Delhi on 14th April 2016. Bill Johnston was a lecturer in applied linguistics in Hawaii and at the University of Minnesota, and is the leader of the Polish Studies Center at Indiana University in Bloomington. He also organises conferences dedicated to Polish literature and Polish studies in the USA, and promotes the work of Polish writers at many academic and artistic forums. His translating output includes several dozen works, both contemporary and classical. He has received special appreciation for his translations of Wiesław Myśliwski’s novels, for which he was awarded some of the most prestigious American translating awards. He also won the 2014 Trans-Atlantyk Prize and the first edition of the Found in Translation Award in 2008 for his translations of Tadeusz Różewicz’s poetry. The Found in Translation Award is given every year to the author of the best English translation published in the form of a book in the past year. This year, the members of the jury were Ursula Philips and Philip Boehm (laureates from previous years), as well as Anna Godlewska, Agata Grenda, Roland Chojnacki, and Dariusz Jaworski (directors of Polish culture institutes in London and New York, and the Book Institute). The laureate is awarded a 16 thousand zloty prize, a diploma, and a three-month-long residency in Kraków funded by the Book Institute.